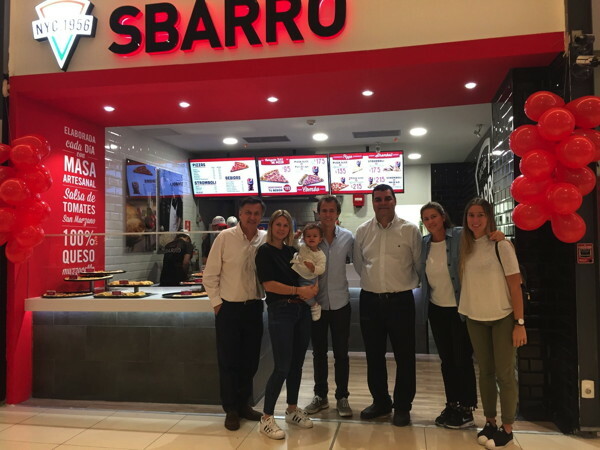 Sbarro announced the opening of its first Sbarro location in Uruguay in partnership with Retail Uruguay Group, headquartered in Montevideo. Earlier this year, Retail Uruguay Group signed a multi-unit development agreement with Sbarro to build five Sbarro and two Pizza Cucinova restaurants in Uruguay in the next five years. Armando Torres, President of Retail Uruguay Group, who brings 30 years of retail experience to the new partnership, said, "We are excited to join with Sbarro and build the brand in Uruguay. Sbarro's operating model is unique in the industry, combining high quality, fresh ingredients with affordable prices. Uruguayan consumers are heavy users in the Pizza category, and we're excited to offer pizza by the slice, which is a new way to enjoy the product." "We are very thankful to have joined with such an accomplished team as we enter another new country and expand Sbarro's global reach," said David Karam, Sbarro CEO. "Armando, Nicolas and Valentina are seasoned veterans and we look forward to our partnership and joint success for many years to come." If you are a member of Sbarro you may be interested in learning how to optimize your content on our network.